Send professional invoices from any device. Get organized and get paid faster! 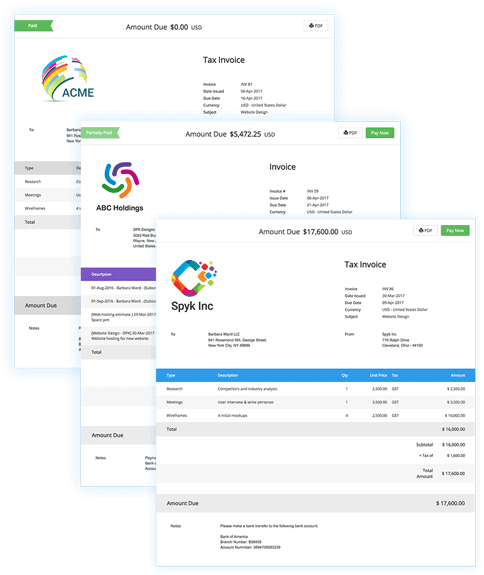 Create Invoice templates for all your brands. Customize the design, layout and tax disclosure based on your brand and business requirements. Build your invoices to match your branding. 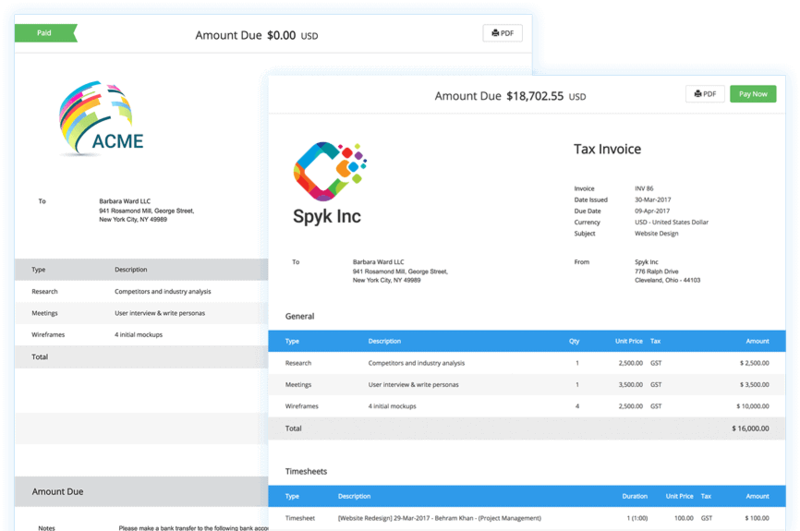 Change Invoice colors, upload logos and create invoices for multiple businesses in one account. Meet the legal tax disclosure requirements for your jurisdiction by showing taxes in your required format. 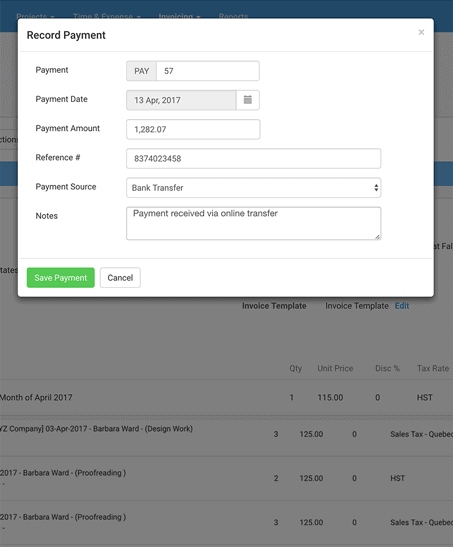 On each Invoice template, you can show and hide fields and translate the Invoice into any language. Manage invoices, track payments and issue credit within Avaza. 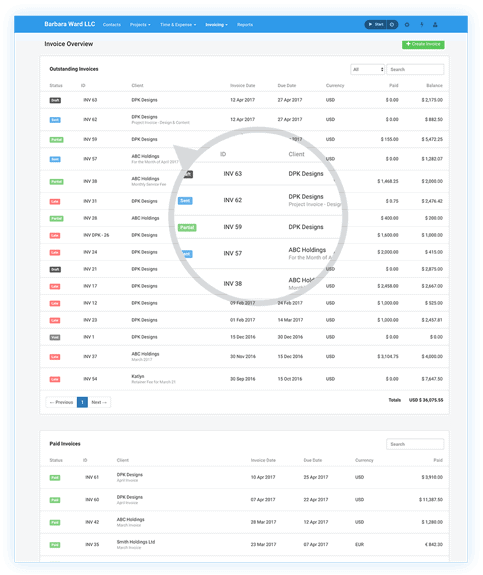 Manage your clients, team, and invoices from a single application. Your records are accessible on any device, anywhere. 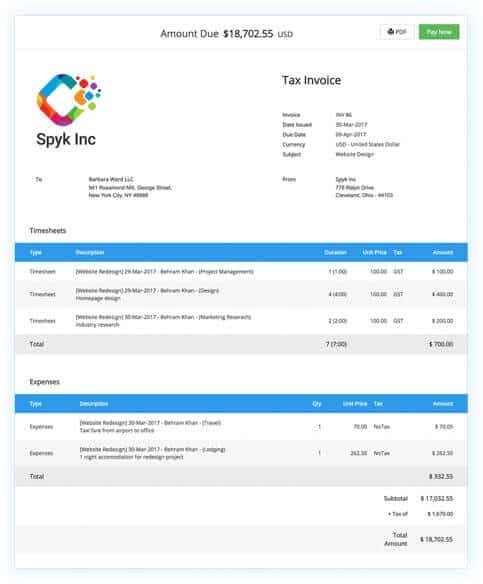 Record payments received against your invoices. Avaza supports partial payments or splitting payments across multiple invoices. Handle returns and apply credits to existing invoices. Or simply add a credit note that you can apply later. Save time every month by automating your workflow with our recurring invoices. Bill clients on time without lifting a finger. 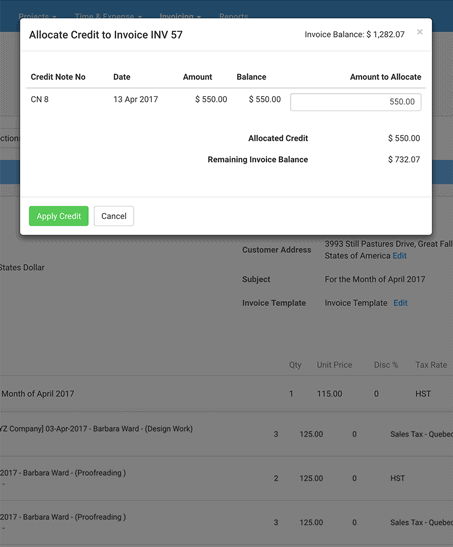 Quickly setup your preferred recurring invoice schedule and start sending professional invoices automatically. 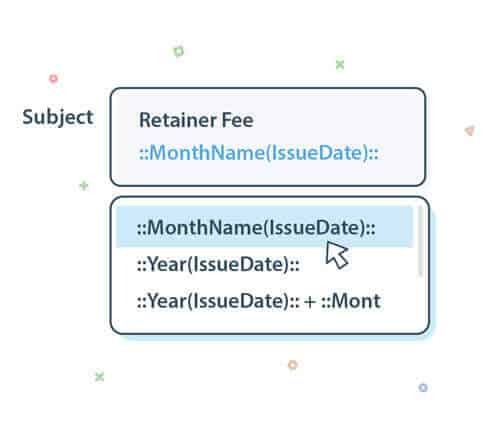 Give context to your invoice by using dynamic variables in Subject, Item Description and Notes. For example to indicate the current month. Save your team from creating manual invoices. 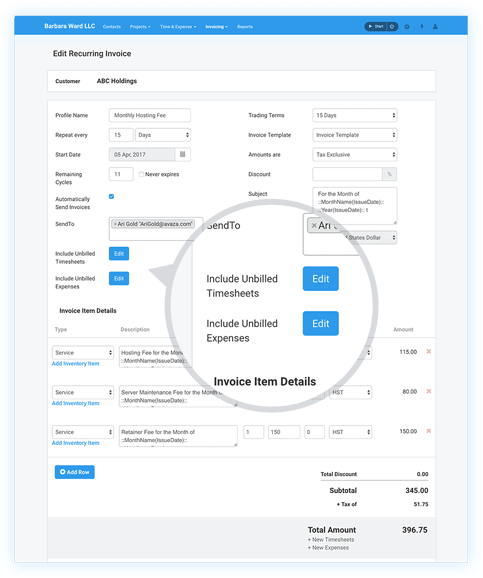 Automatically include unbilled time & expenses to Invoices. Avaza is an all-in-one solution for tracking and billing for timesheets, expenses & fixed amounts. 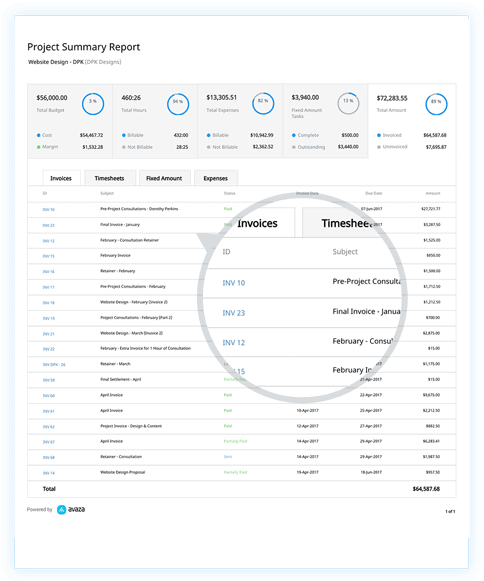 Add billable timesheets, expenses and project fixed amounts. 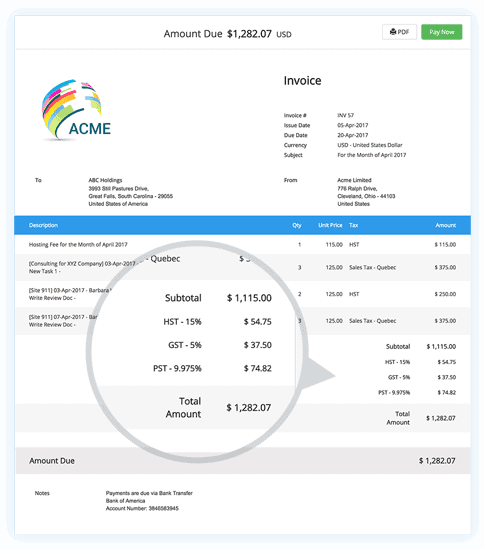 Link any invoice line item to a project for powerful project revenue reporting. 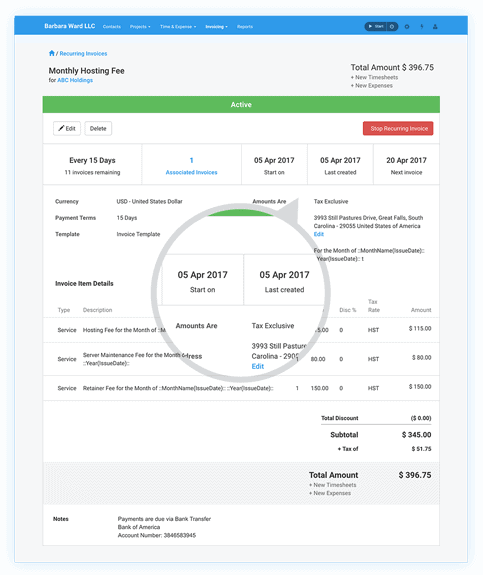 Group timesheets and expenses separately on invoices for easier viewing. Have customers pay you online directly from your invoice via the ‘Pay Now’ button. 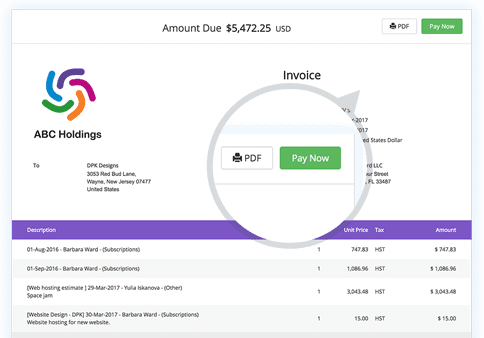 This makes paying your invoices faster and more convenient. Link your PayPal, Stripe & Payoneer accounts, some of the most popular payment gateways, and start accepting PayPal & credit card payments right away. issue customer statements and get insight into your business profit & loss. What else does Avaza have to offer? Avaza is ideal for many type of businesses. Mix and match any of the modules to suit your needs. Estimate your effort for a task & track your time based on multiple categories. 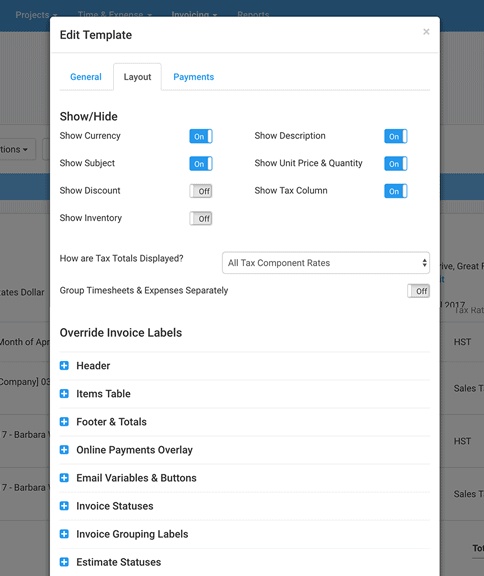 Track your expenses through multiple categories, add markups, digitize receipts from your phone. 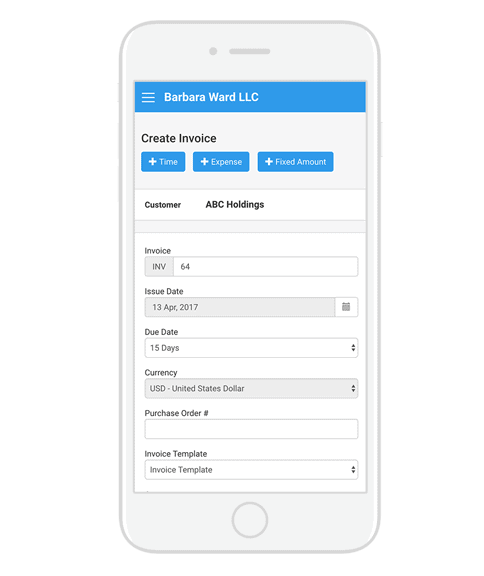 Invoicing has never been easier! With Avaza send professional invoices with one click. Keep track of your tasks with ease, invite & collaborate with your team, set priorities, deadlines and more. Manage your team's schedule on an interactive calendar and make smarter scheduling decisions.